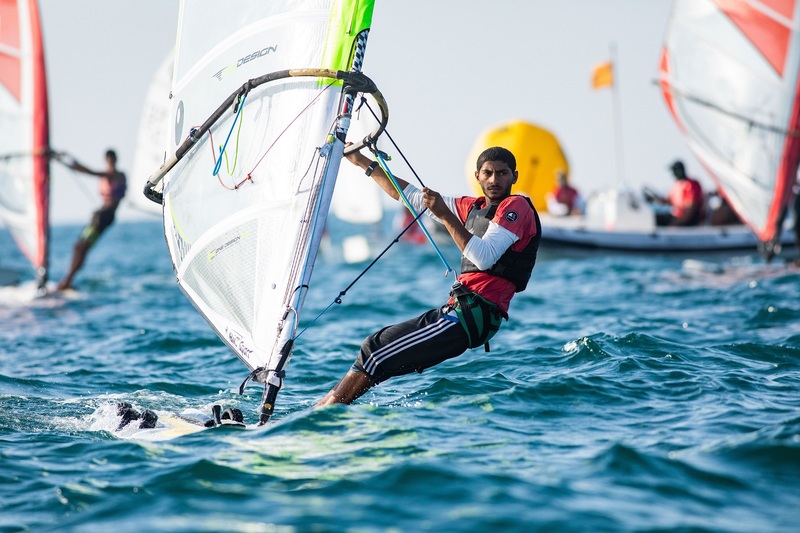 The Oman Air crew maintained their positive start to the 2018 Extreme Sailing Series on a day of swings and roundabouts in Muscat that saw five different winning boats in the six races held. 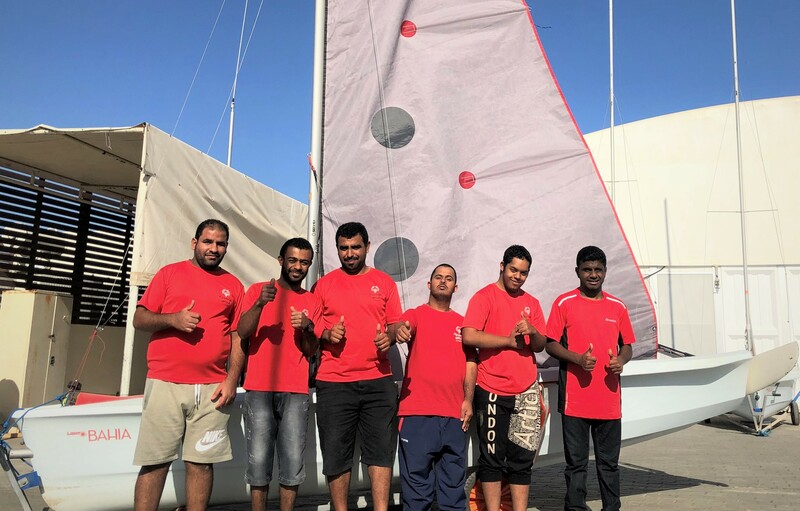 Oman Air was the only team to post two victories on the second day of racing, and they remained secure in a strong second place behind the leading Alinghi team. However, two early starts – requiring them to re-cross the starting line – cost Oman Air valuable points in the overall standings. At the half-way stage in the four-day regatta being held off Al Mouj, Muscat they are eight points behind Alinghi, but have opened up a five point lead over the reigning 2017 Series champions SAP Extreme Sailing Team. 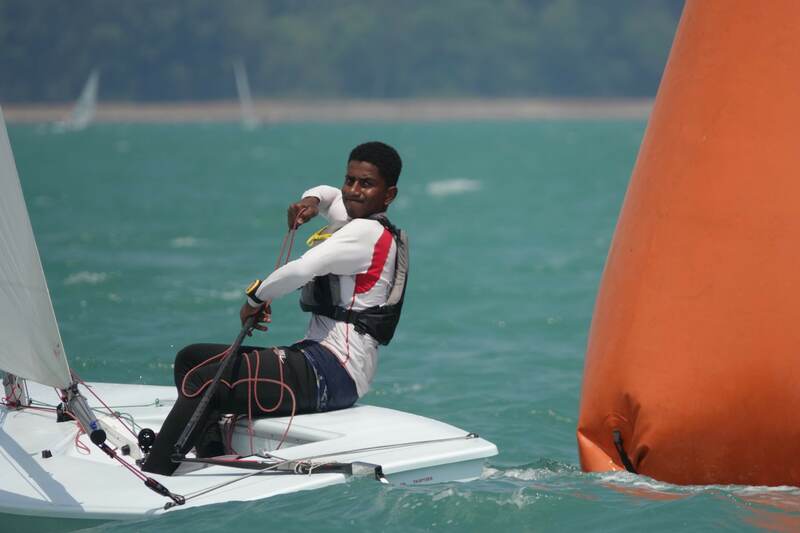 “We had a couple of races today where we led from start to finish, and that’s clearly good, we just need to avoid the clangers,” said Oman Air’s mainsail trimmer and tactician Pete Greenhalgh. “Over the next two days of racing, we need to iron out the little mistakes,” he added. “We will learn from them and hopefully do things differently tomorrow and strengthen our position throughout the year. We are more than capable of doing that and it’s all within reach. Like the rest of the fleet, the Oman Air team of skipper and helmsman Phil Robertson, Greenhalgh, James Wierzbowski, Stewart Dodson and Omani racer Nasser Al Mashari had to again contend with variable and shifting wind conditions, which put a premium on good race starts. “We know that getting a really good start in the conditions we have had is very important,” explained Al Mashari. “When you do, it allows you to go the way you want to go, so you are not controlled by other boats. It is often the case with racing like this. Alinghi won the final race of the day, with earlier victories also going to the fourth-placed Land Rover BAR Academy, Red Bull Sailing Team and SAP. 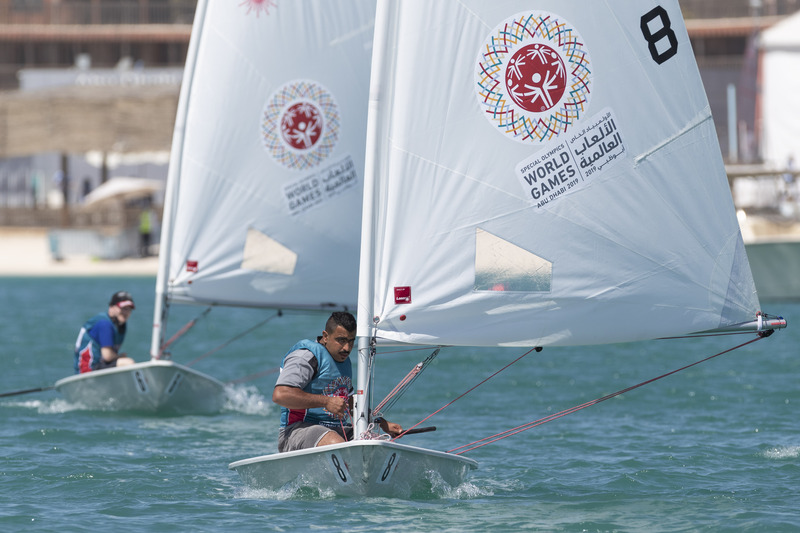 The Extreme Sailing Series action will continue off Al Mouj, Muscat on Friday and Saturday, with a free public access Race Village at Al Mouj Golf offering a close-up view of the race course. The Race Village will offer a wide range of family and children’s activities, and will also feature the exclusive return of the ‘Weekend Souq’ from the creators of the popular Souq Es Sabt with more than 45 vendors.